Need a getaway this holiday season or a mid-winter warm-up? Via The Flight Deal, folks in Miami can fly non-stop to Brussels, Belgium, on Jetairfly for ~$322 round-trip in coach! And here at home, United Airlines has cheap fares between New York and New Orleans for ~$153 round-trip, or between Chicago and San Diego for only ~$80 round-trip! 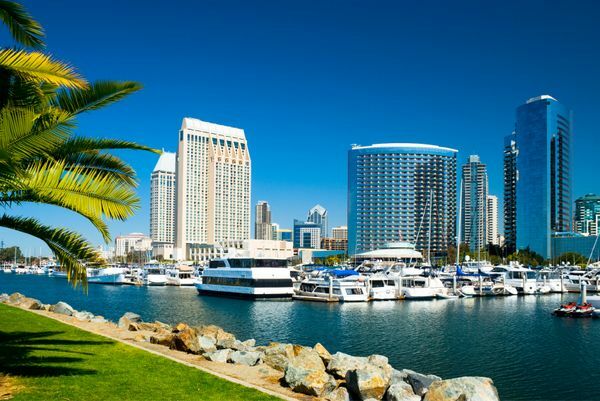 Folks in Chicago Who Want a Break From Winter Can Buy a Ticket to Sunny San Diego for Only ~$80 Round-Trip! You can search for these fares using ITA Matrix or Google Flights, then book on the United Airlines or Jetairfly websites. These deals will go fast, and availability is limited! If you book a ticket with an online travel agency like Orbitz or Expedia, you may be eligible for a refund within a short time of booking your ticket. 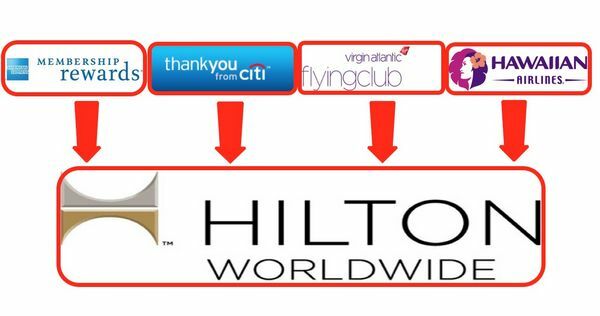 Check out my post on cancellation policies for airlines and online travel agencies for more details! The Flight Deal reports cheap direct flights on Jetairfly from Miami to Brussels for 300 Euros (~$322) round-trip in coach. To find this fare, search directly on the Jetairfly website. I was able to find round-trip flights in December for ~$322 round-trip! A Round-Trip Coach Flight to Europe Under $400 Is a Steal! Flights to Europe under $400 are an outstanding deal! And remember, Brussels is a short train ride away from other European capitals, like Paris, Amsterdam, or Berlin. Read my post about how to get Big Travel with Small Money in Europe! Travel on this fare is only available until mid-December. 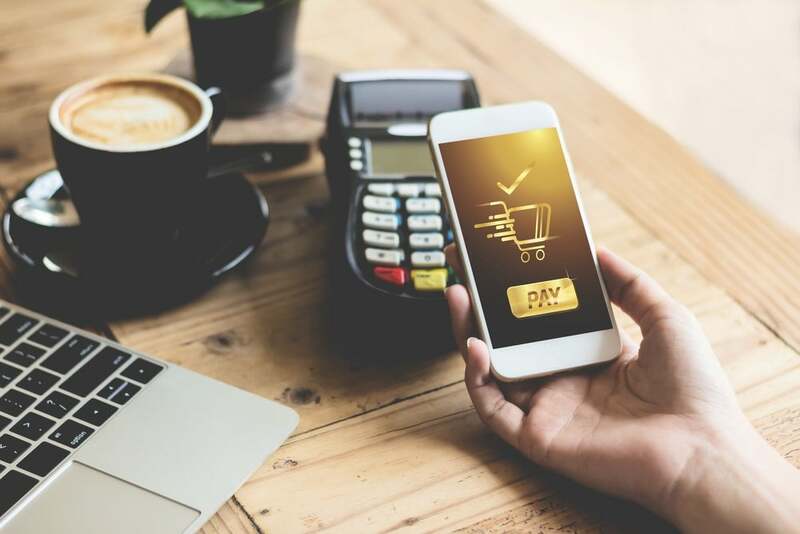 Note: You’ll pay for this fare in Euros, so be sure to use a credit card with NO foreign transaction fees, like the Chase Sapphire Preferred or Citi ThankYou Premier. Folks who have the Chase United MileagePlus Explorer card get a free checked bag. But you have to use the card to pay for your ticket! Note: You can cancel a United Airlines reservation within 24 hours of booking and get a full refund. 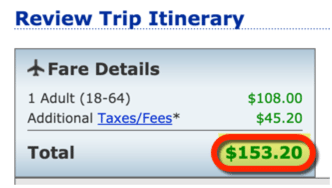 With United Airlines, you can fly between New York and New Orleans until early March 2016 for ~$153 round-trip. There’s a 7-day advance purchase requirement, and blackout dates around the holidays. But I was able to find lots of seats for sale! This is a great opportunity to visit another city for under ~$200! And New Orleans is warmer than New York in the winter! United Airlines also has cheap direct tickets between Chicago and San Diego for only ~$80 round-trip. That’s a terrific deal! Availability on this route is very limited. Travel from late January to early February 2016 on a Tuesday, Wednesday, or Saturday, and be sure to buy your ticket at least 21 days in advance. It sounds like a lot of conditions to meet, but I was able to easily find lots of seats still left. 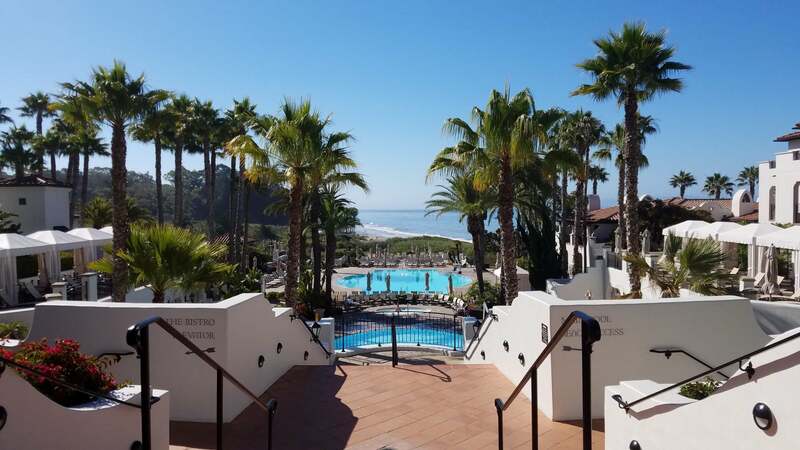 Here’s my post on top Starwood hotels in the US to book with Starwood points! Airbnb is a great way to save money on accommodations, especially for longer stays. Read my tips on how to negotiate a better price on Airbnb, and how to find a good and safe place to rent on Airbnb. There are lots of cheap fares today! 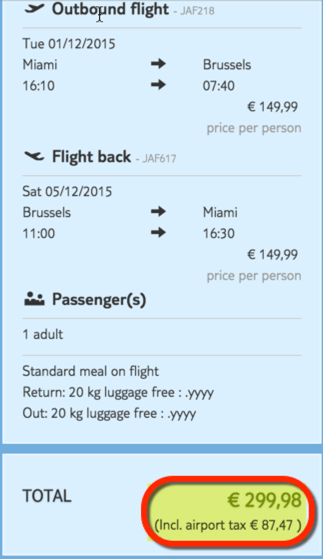 If you’re near Miami, fly on Jetairfly non-stop to Brussels for only ~$322 round-trip in coach. Travel until mid-December, and book directly on the Jetairfly website. United Airlines has flights between New York and New Orleans for ~$153 round-trip. Travel through early March 2016 and be sure to buy your ticket at least 7 days in advance. There are blackout dates around the holidays. Or, fly between Chicago and San Diego for ~$80 round-trip. Availability on this route is very limited, and available for travel in late January to early February 2016. Travel on a Tuesday, Wednesday, or Saturday, and buy your ticket 21 days in advance. Will you plan a winter trip with these fares? Let me know if you do!